Fidencio Martinez-Perez's 'I.C.E./El Hielo' fills much of a wall in the Kansas City Artists Coalition's Charno gallery. When Fidencio Martinez-Perez was 7 years old, a smuggler brought him, his mother and his three brothers across the Mexican border. Now he makes art in which the roads, rivers and boundary-markers of the United States resemble the blood vessels of human figures. His main material is simple, but significant. Martinez-Perez starts with gas station fold-out maps. 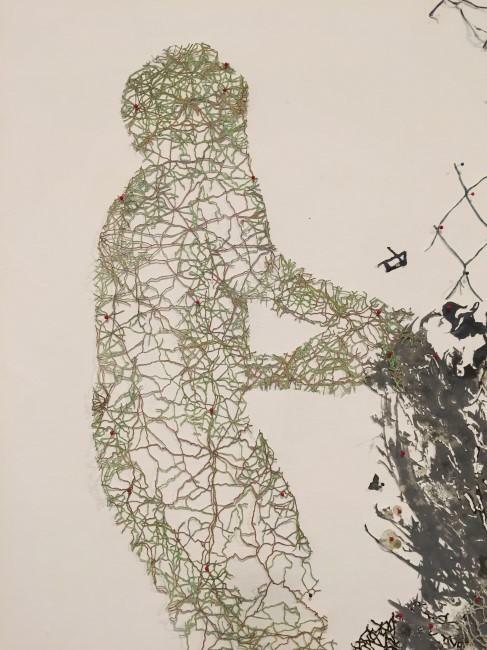 Then he begins a process as painstaking as the immigrant’s journey, spending months bent over a map with an X-Acto knife, carving away the white spaces that represent land until only the red, black and blue lines denoting roads and rivers remain. The resulting sheets of cut-up paper are as fragile as doilies but freighted with meaning. 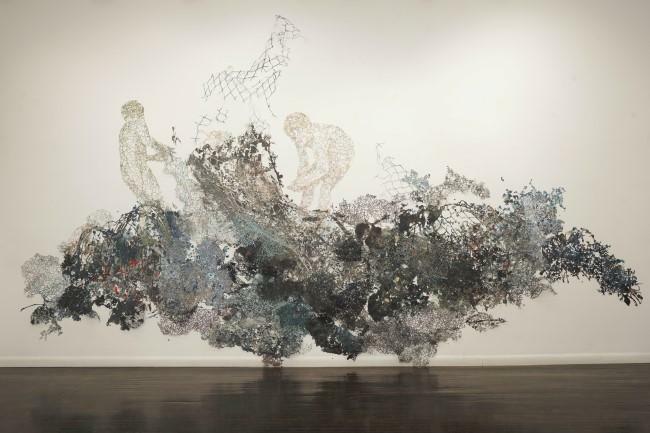 Martinez-Perez then uses them to create installations that tell stories and, at the Kansas City Artists Coalition, a wall-sized curtain out of cut-up paper that looks like a chain-link fence. 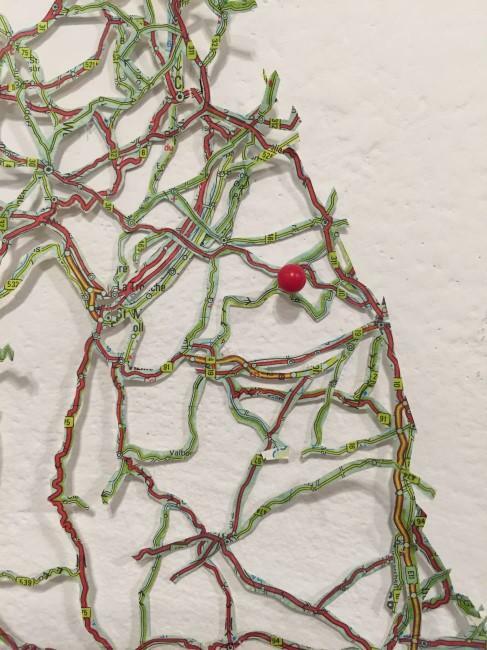 A detail of Fidencio Martinez-Perez's 'I.C.E./El Hielo,' in which roads and rivers cut from maps resemble blood vessels in a human figure. “It’s so fragile it almost looks like a net, even though it’s supposed to be a fence,” he says. Martinez-Perez thinks of maps as individual narratives. A closer detail of 'I.C.E./El Hielo' shows Martinez-Perez's intricate X-Acto-knife cut-out technique. 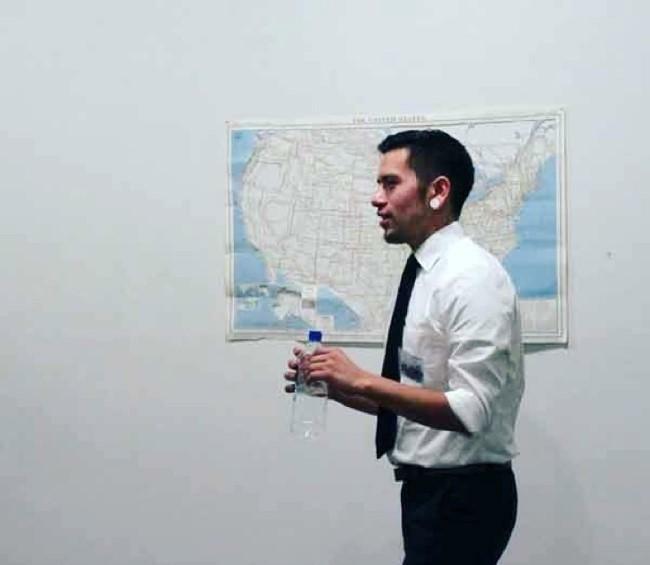 “I’m thinking of a figure having to traverse through a landscape made up of many experiences and histories,” says Martinez-Perez, who is completing an MFA at the University of Iowa and says Kansas City is on a list of potential cities where he might live after school. He says maps are his way of documenting what’s often not documented. His map collages evolved from paintings in which he would incorporate tattoo-like imagery, family photographs, newspaper clippings and images from money and birth certificates. When he wasn’t happy with a piece, he’d cut it up. The painstaking nature of the work itself became significant. Covering much of the gallery’s east wall is a collage depicting two children crossing a body of water. It’s inspired by his mother’s answers to his questions about their journey across the border. 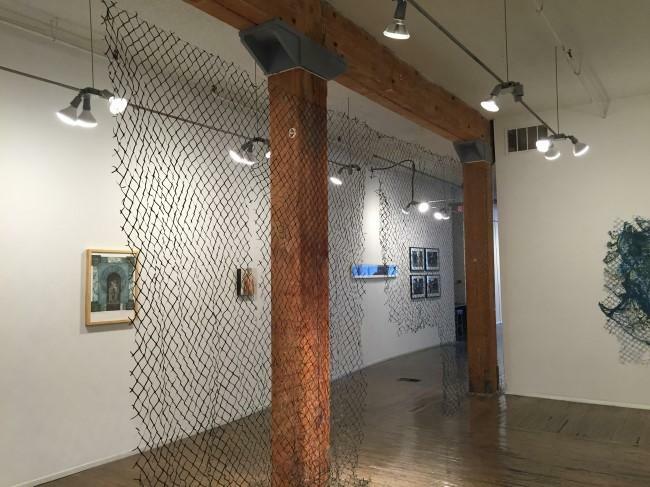 Fidencio Martinez-Perez's 'Veil' is maps cut into the shape of a chain-link fence. Their pilgrimage took them to North Carolina, where Martinez-Perez’s father was working and waiting. Martinez-Perez remembers childhood visits from his mother’s friend Juana, who was working in the United States and had eventually made enough money to pay a smuggler to bring her sons, who were about the same age he was when he made the crossing. Fidencio Martinez-Perez at the opening of his show at the Kansas City Artists Coalition. About the same time as Martinez-Perez was interviewing his mother about her experiences, U.S. news outlets began reporting about unaccompanied children coming over the border. The fact that “hordes” of immigrants on the other side of the world are now drowning in faraway oceans is not lost on Martinez-Perez. “Immigration not a Mexican or American or Latin-American issue – it’s a global issue,” he says. Martinez-Perez's installation is one of three up for a few more days at the Kansas City Artists Coalition's galleries. In the Mallin Gallery are Kansas City photographer Angie Jennings’ street photographs from China, which explore what Jennings describes as that country's "ever changing face." And downstairs in the Coalition's Underground Gallery, Kristin Powers Nowlin's black-and-white woodblock prints respond to cringe-inducing travel brochures and ads from the 1930s, romanticizing Southern culture. All three exhibitions directly, and movingly, confront topics in headlines today. They're up until the closing reception on Thursday, 6-8:30 p.m. at the Kansas City Artists Coalition, 201 Wyandotte Street, Kansas City, Mo., 64105, 816-421-5222. 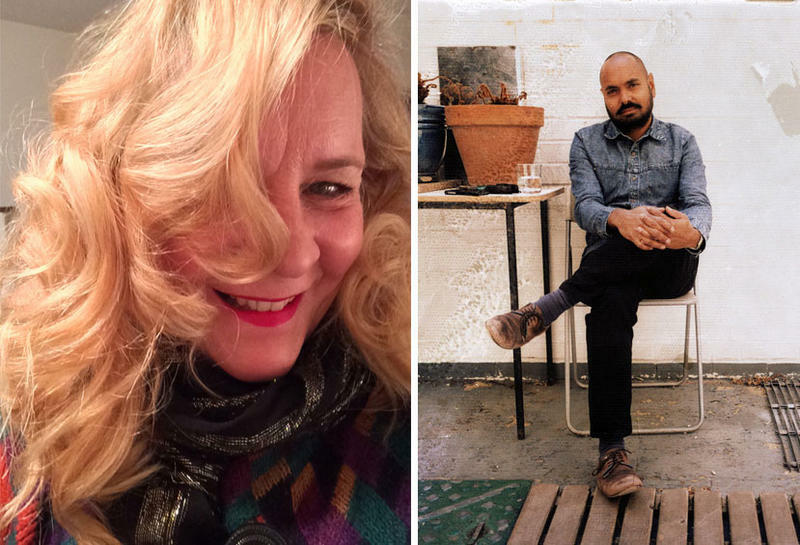 Anne Pearce made her name in Kansas City years ago, as a painter and as director of the Greenlease Art Gallery at Rockhurst University, where she also teaches art. Two years ago, during sabbatical on the other side of the world, Pearce had a profound experience — one she's now sharing with her students. 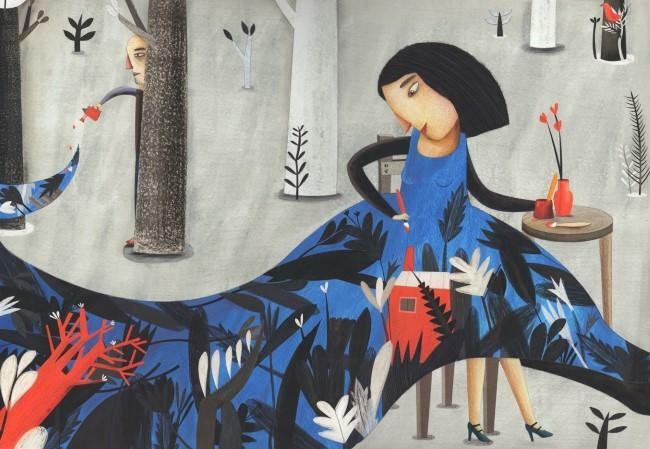 English-only speakers might not be able to read Spanish, but they'll likely recognize the emotions, situations and imaginary worlds created by children's book illustrators from Mexico on display at the Kansas City Public Library. For centuries, scientists have looked to artists to help visualize the complexities of the human body. The techniques have changed — from wood engravings and copper plate prints to microscopic photos and digital animation — but the focus on storytelling is the same. 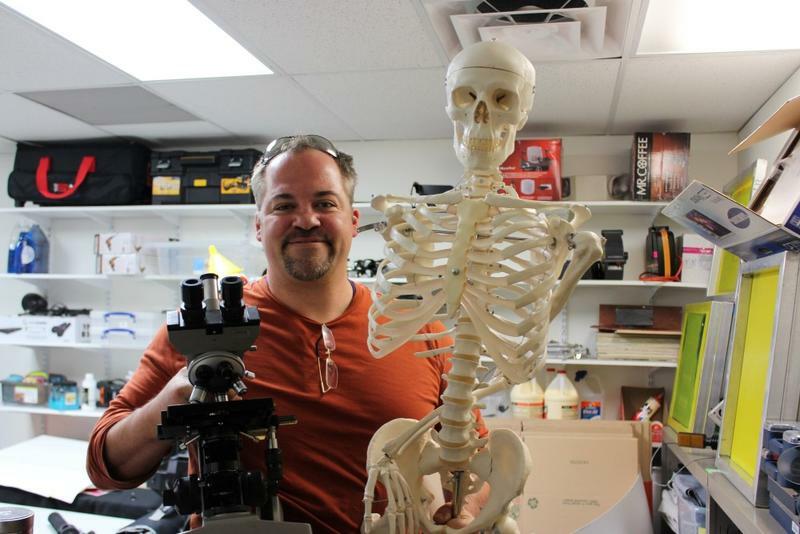 It’s a profession known as medical illustration and there’s an effort to cultivate more of it in Kansas City. The illustration department at the Kansas City Art Institute is tucked into a former grocery store at 43rd and Oak. At two long tables near the entrance, a handful of students quietly surf the Internet or eat a snack just before the start of a biomedical visualization class.